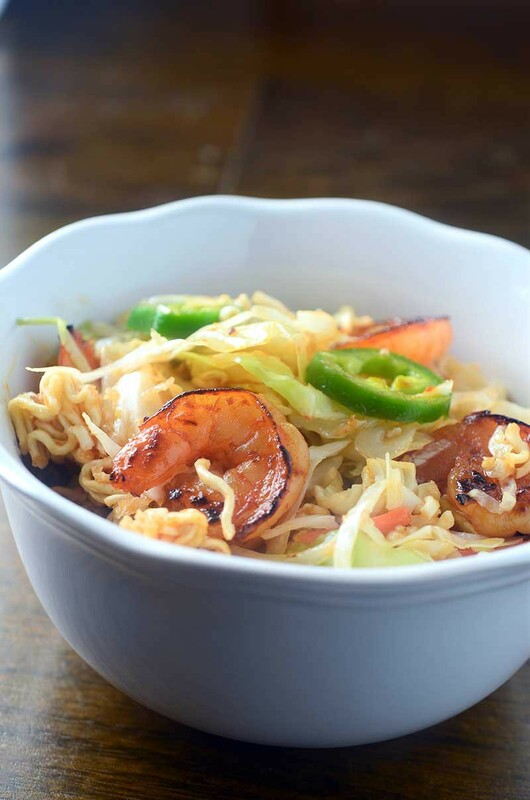 Shrimp ramen noodle salad is a quick and easy dinner recipe with a sweet and spicy kick of flavor. For the last few months, I have been seeing ramen noodle salad recipes popping up all over pinterest. I’ve seen them here and here, too. And each time I see one, I think to myself that I HAVE to try that. It wasn’t until a recent mini-road trip with my little family that I did. And it was awesome, but like every awesome recipe I try, I’ve got to put my own spin on things. So, I present to you: Sweet N’ Spicy Shrimp and Ramen Noodle Salad. 1. The dressing tends to be on the sweeter side and most forgo the ramen seasoning packet. 2. Ramen noodle salad tastes better if it has a chance to marinate at least an hour. 3. The ramen noodles are an awesome crunchy addition on day one. Day two…not so much. 4. It can easily become a meal with the addition of a protein. So I took all of these things that I discovered and decided to do my own thing. First, the sweet dressings totally work, but you know me, I need a kick so I added some sriracha. I also added some jalapeno to the mix for another extra crunchy kick. Second, make sure to make this salad a few hours a head of time so that the cabbage has a chance to soak up all of the sweet and spicy dressing. Third, there is really no way around this. The salad is good the next day, but the noodles are just not as crunchy. And finally, this salad is pretty hearty on it’s own because of the cabbage, but add some protein and you’ve got yourself a full meal. Well, almost. You might want to make something like this for dessert. For my protein, I decided to add some shrimp. To keep with the sweet n’ spicy theme, I wanted the shrimp to be sweet and spicy too, so I made them honey sriracha shrimp. 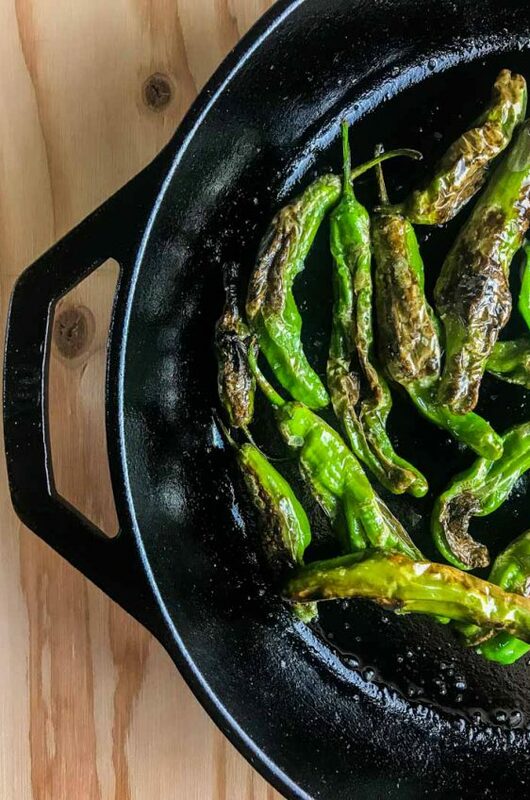 They are sweet, but not too sweet, and spicy but not too spicy. The shrimp were the perfect addition to the crunchy ramen noodle salad. Just be careful when they are cooking, because the honey can burn quickly. 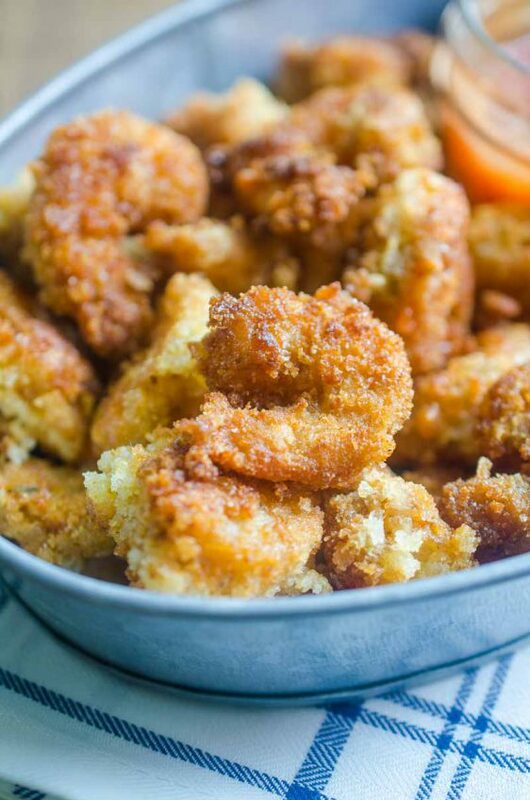 Once you cook the shrimp, toss it with the crunchy salad and you’re good to go. 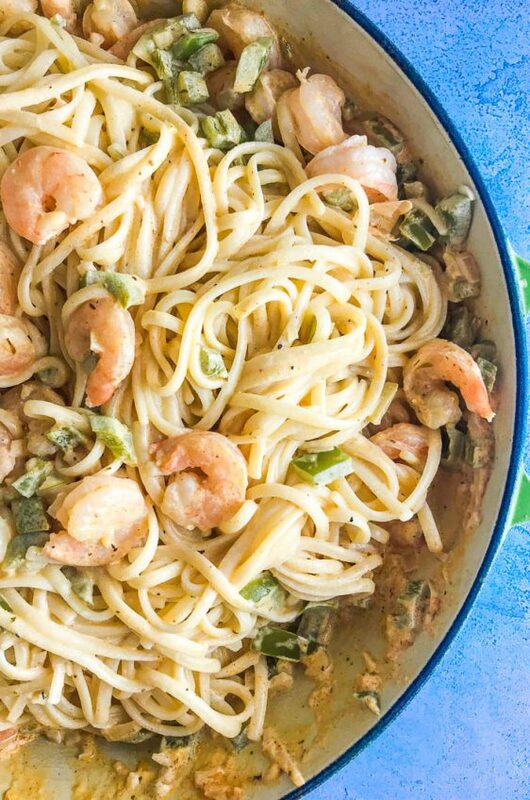 This shrimp ramen noodle salad is quick, easy and just might be my new favorite salad recipe. Whisk together canola oil, sugar, vinegar, soy sauce, sesame seeds, sriracha, sesame oil and garlic. In a large salad bowl combine crushed ramen noodles, jalapeno, coleslaw mix and green onions. Mix well. Pour dressing over the top and refrigerate for 1 hour. Meanwhile, make the shrimp. Whisk together oil, sriracha, honey, garlic and rice vinegar. Taste and add salt if desired. Place shrimp in a bowl and pour sriracha honey sauce over the top. Cover and refrigerate for 30 minutes. When ready, cook shrimp in a skillet over medium heat, until pink and cooked through, about 5 - 6 minutes. 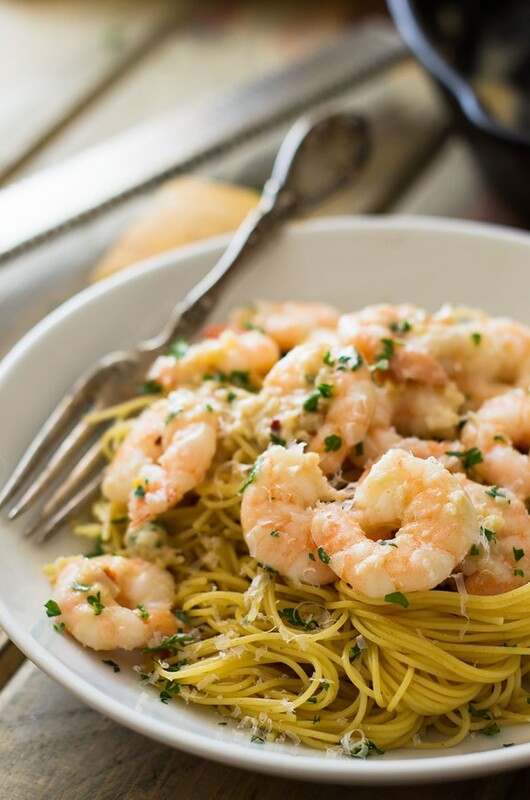 Note: Make sure you turn the shrimp often, the sugar in the honey can burn quickly. Once cooked, toss the shrimp with the salad and serve. Great tips on how to make Ramen Salads better. And that shrimp looks killer BTW! The shrimp look like they have such an amazing glaze to them! 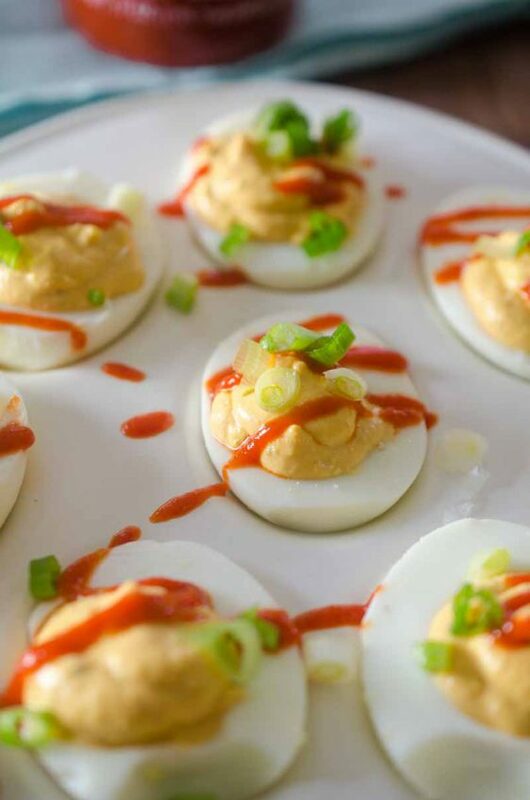 I looooove the addition of Sriracha and jalapeños – mmmm! This sounds delicious! I love the crunch ramen adds to salads. 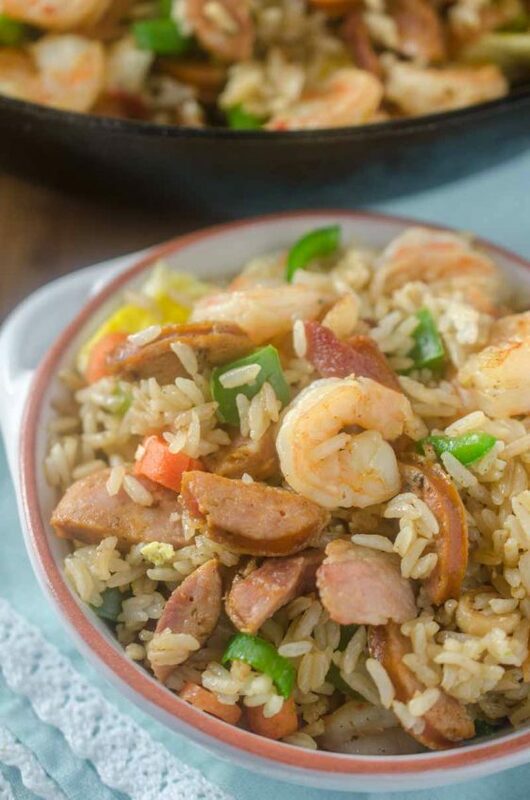 This is my favorite kind of weeknight dinner – one bowl and quick. I’m always thrilled to find a new way to make shrimp too. I love, LOVE dishes just like this! The ramen noodles are, of course, so much fun! What a great way to add them into a delicious meal! Perfect salad for summer gatherings or bbq! Love the flavors! it is funny to see ramen noodles become popular again. They really a great convenience food though. I love your sweet & spicy take on them.